The MB-S14 screening attachment is designed for excavators weighing between 19,800 and 44,000 pounds, and it has a load capacity of 1.6 cu. yards. 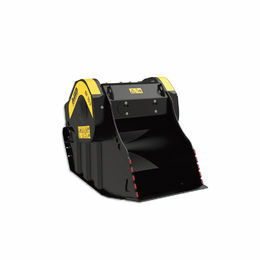 The MB-L120 is designed for skid loaders weighing over 6,200 pounds and for backhoe loaders weighing between 11,000 and 15,500 pounds. 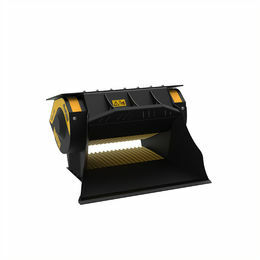 It has a productivity range of 8 cu. yards per hour to 18 cu. yards per hour, depending on the crushing adjustment output. 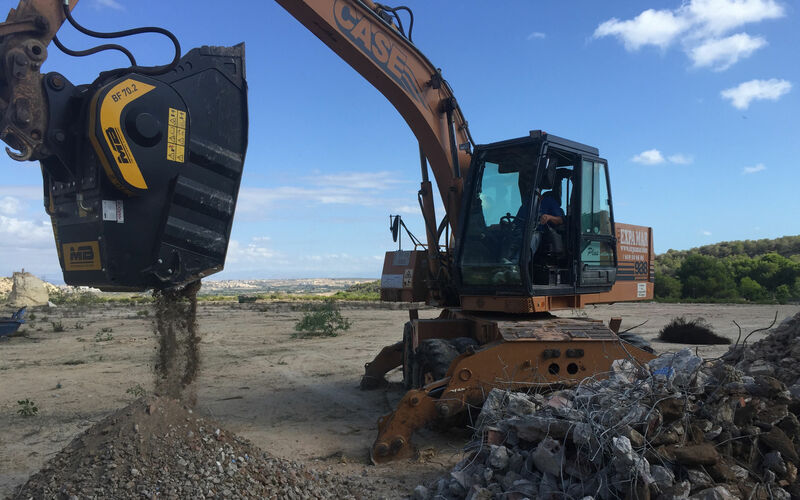 The BF70.2 is designed for excavators weighting over 33,000 pounds, and it has a productivity range of 12 cu. yards per hour to 39 cu. yards per hour, depending on the crushing adjustment output. Ohio and Michigan are getting four open house demonstrations at four different locations and facilities. The organizing companies, Midwest Aggregate Parts, LLC and MB America, Inc. will showcase the processing capabilities of the crushing and screening attachments. The demonstrations will include the processing of concrete, asphalt, topsoil, compost and stone. 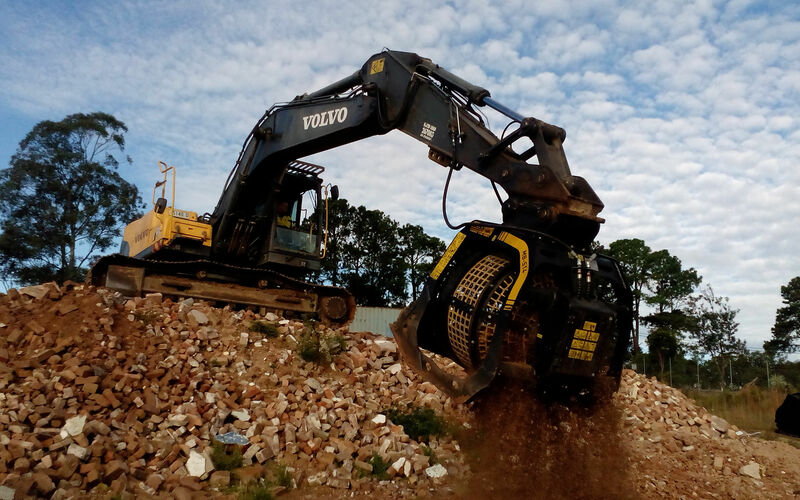 The two companies are working with D & L Equipment, Riverrock Recycling Crushing, Katerberg Landscaping and IDF Clean-up Inc. to bring live demonstrations to these areas: Dayton, Ohio; Jackson, Michigan; Grand Rapids, Michigan; and Imlay City, Michigan. 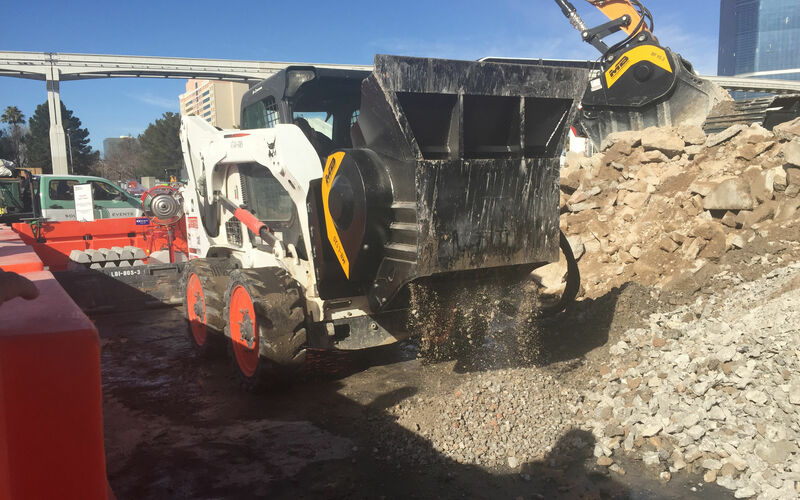 MB’s MB-S14 screening attachment, MB-L120 skid-loader-mounted crushing attachment, and BF70.2 excavator-mounted crushing attachment are among the featured attachments. The demonstrations will on May 11 in Jackson, Michigan; May 16 in Dayton, Ohio; May 18 in Grand Rapids, Michigan; and May 20 in Imlay City, Michigan. RSVP for the times and locations. Please contact MB at 855-MB-CRUSH (855- 622-7874).